Vitiligo skin depigmentation, vitiligo treatment? Let's talk about Vitiligo, why? what? where? how? Melanin is a pigment responsible for the color of skin and Melanocytes are melanin-producing cells. 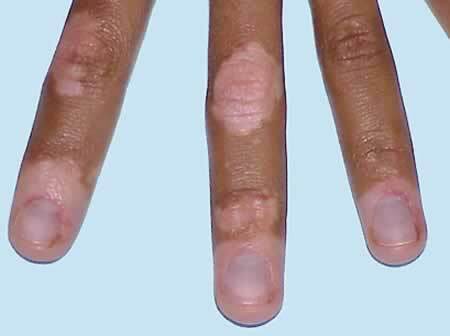 Obviously Vitiligo desease has got to do with melanocytes loss in your body. It affects around 1% to 2% of the world population. It is especially relentless with people having darker skin. Approximately 65 milion people all around the world have it. It can affect anybody. The exact cause is not known, but according to the researches it happens due to the combinations of genetic, immunoligic and environmental changes. Maybe you heard of Michael Jackson's story about pigmenting and de-pigmenting the skin and you didn't quite understand the background and why would a black man depigment his skin. The true is that Mickael Jackson suffered from Vitiligo. As of today, it is generally known that no cure for curing the depigmenting desease has been found yet. However a few researches have been published revealing some interesting info about Ginkgo Biloba extract stopping and even treating Vitiligo Desease. A lot of information can be found all over the internet about every of these different treatments, this is why I am not going to write in details about any of the above. However I would like to bring to your attention the possibility of Treating Vitiligo Desease by taking Ginkgo Biloba extract as your daily nutritional supplement. Can Ginkgo Biloba Cure Vitiligo Desease? Since I read on the internet that Ginkgo Biloba can cure Vitiligo, I advised her to take 40mg Ginkgo Biloba extract in a form of pills 3 time daily. In our case that meant taking 1 pill 3 times a day (in the morning, during lunch time, in the evening). Since it has been just a few days since she started taking the pills obviouslly no effect have been shown yet. I will certainly keep you up to date with an improvement (if any) of her condition.